Got a Throbbing Toothache? Try a Toothache Remedy Proven to Work! Discover toothache remedies using clove, peppermint, or cinnamon oil. Also, find out how cabbage, cucumbers, and baking soda can give toothache pain relief. 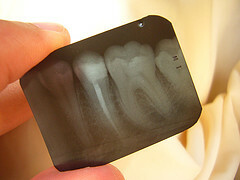 A toothache is an aching or pain in a tooth that is usually damaged. When the hard enamel on a tooth is damaged, it allows infecting organisms to enter the tooth, which results in inflammation and pain. and you should see your dentist within 48 hours if possible. 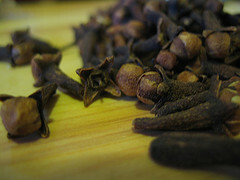 Clove Oil: In my humble opinion..the best toothache remedy. Dip a Q-tip in pure clove oil. Apply to the affected tooth and surrounding gum area. If you do not have any clove oil handy you can wiggle a whole clove, pointed end down, next to the tooth, or empty a teabag and put some clove powder in it and place it on tooth and gum. (Caution: Don’t overuse clove oil or you may burn the gum. Some people mix a small amount of olive oil in their clove oil to dilute it a little bit.). Peppermint Oil: Apply to the affected tooth and surrounding gum area. SWEET MARJORAM: Dip a Q-tip in marjoram oil and put on the aching tooth. TREE TEA OIL: A powerful antiseptic. Add 1-2 drops of tea tree oil with 1/2 teaspoon aloe vera gel and directly apply to infected tooth. Do Not Swallow! TEI-FU OIL: A good toothache remedy for toothache pain relief. Put 2-3 drops on cotton ball or Q-tip and rubbed into painful area as needed. : Use a tincture as a gargle or mouthwash to encourage healing and reduce the risk of infection. Also good for sore throats, tonsillitis, mouth ulcers, and gum infections. Take orally in capsule form as a preventative measure. 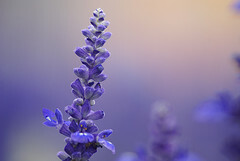 CHAMOMILE, CLOVE, or LEMONGRASS: Make a gargle containing a few drops of one or more of these antiseptic oils. 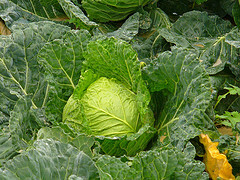 CABBAGE: Break the large ridge of a cabbage. Heat gently and apply to the abscessed tooth. ONION: Place a small piece of onion on the bad tooth or gum. CUCUMBER: Cut it into thicker slices. Hold these pieces on and around the affected tooth. If you are not sensitive to cold try a cucumber that has been refrigerated for a soothing effect. WHISKEY: Swish some whiskey around the affected tooth, then spit it out. It delivers a kind of anesthesia to the affected area which results in lessening the pain. ICE WATER: Fill a bowl big enough to fit your hand with ice and water. Submerge your opposite hand of the tooth hurting as long as you can stand. SESAME SEEDS: One of the best home remedies for toothache. Boil one part sesame seeds with three parts water until liquid is reduced in half. Cool the resulting brew, and apply it directly to the aching tooth. Sesame seeds contain at least seven pain-relieving compounds.